The award-winning Reflection Presidential two-bedroom suite is a bespoke luxury suite with a modern French Art Deco flair. 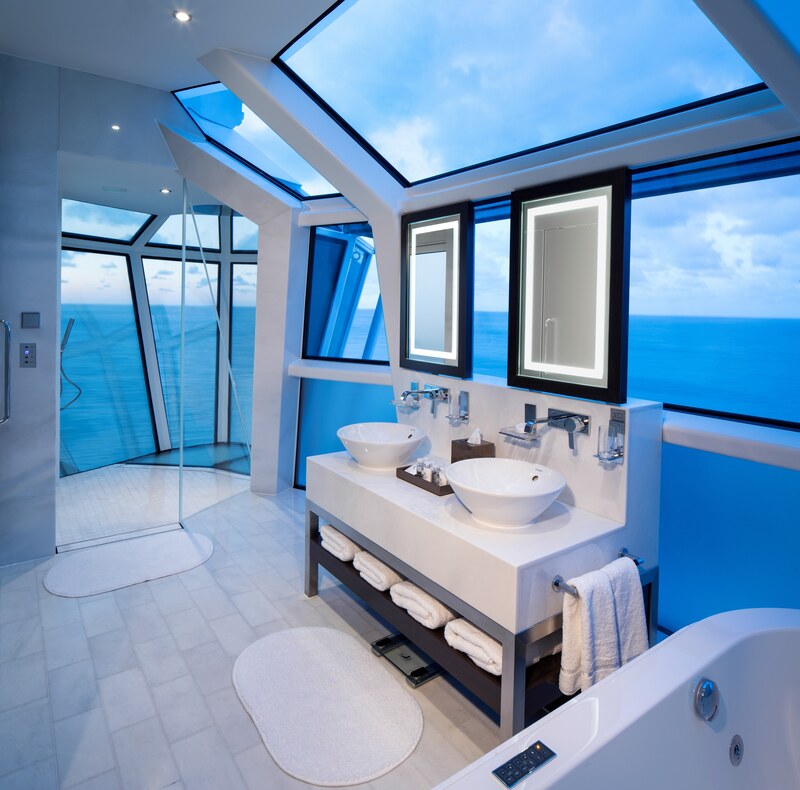 The bathroom hides an extraordinary feat of design: a diamond-shaped glass enclosed shower, extending 11 feet in diameter, over the ship’s edge. 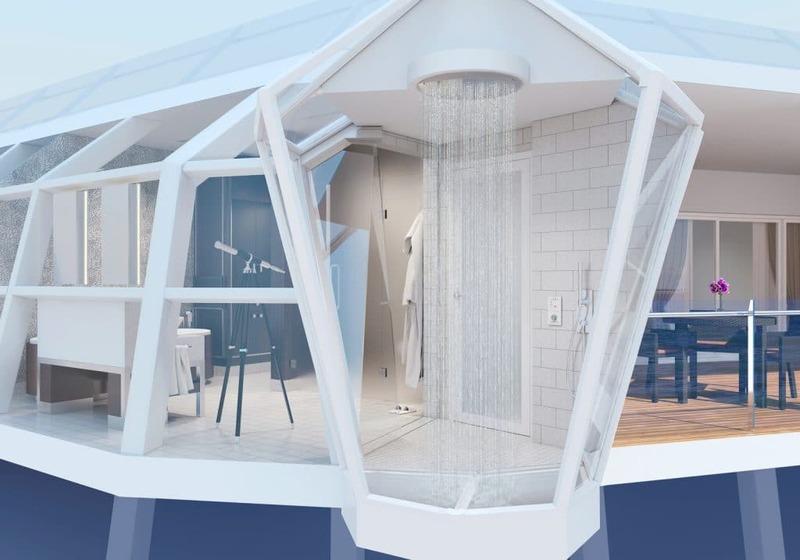 This cantilevered “gem” features spa water jets, concealed steam heads and is surrounded by glass panels that change texture and opacity thru digital commands.